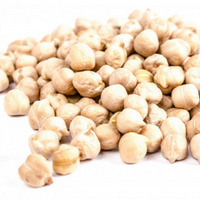 Chickpea or chana is a very important pulse crop that grows as a seed of a plant named Cicerarietinum in the Leguminosae family. 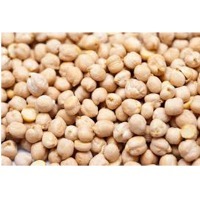 This light brown colored pulse is considered to be a good source of protein and is also called by the name of Garbanzo beans. 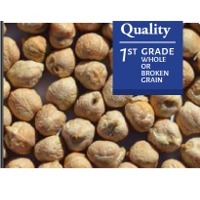 Chickpeas is used as an edible seed and is also used for making flour throughout the globe. Having a capacity to stand in drought conditions, this crop doesn't have the requirement of being fed with nitrogen fertilizers. 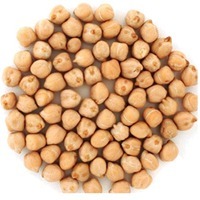 Chickpea or chana is a very important pulse crop that grows as a seed of a plant named Cicerarietinum in the Leguminosae family. 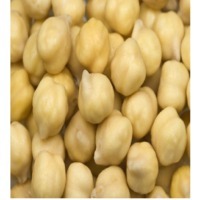 This light brown colored pulse is considered to be a good source of protein and is also called by the name of Garbanzo beans. Chickpeas is used as an edible seed and is also used for making flour throughout the globe. Having a capacity to stand in drought conditions, this crop doesn't have the requirement of being fed with nitrogen fertilizers. 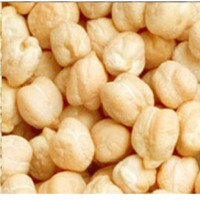 The varieties of Chickpea are separated on the basis the seed size, color and taste. Two of those varieties, namely Kabuli and Desi. Short on time? Let chickpeas sellers contact you. 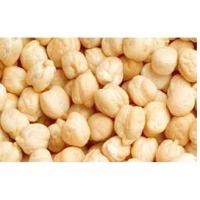 B90 Chickpea The B90 chickpea are the most widely preferred type. Used throughout the world for food industries to make humus and other products. 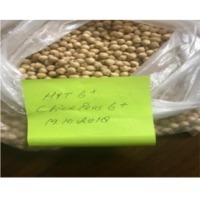 Check our pricing first on your B90 Chickpea procurement needs. Available in 25kg, 50kg, 50lb, 100 lb and large shipping containers. 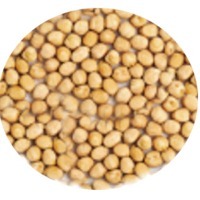 Desi Chickpea High in Fiber and other nutrients, Desi Chickpeas pack a powerful taste which is a great addidtion to many recipes. 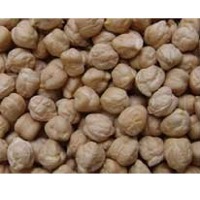 Alliance Zone Inc can provide Desi Chickpeas in 25kg, 50kg, 50lb, and 100lb bags, or as needed by our customers. Allow our professional trade representatives a chance to negotiate with you. 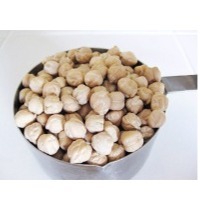 Kabuli chickpeas are commonly sourced from India and other countries. Kabuli's are a staple in cuisine common from the middle east nations. 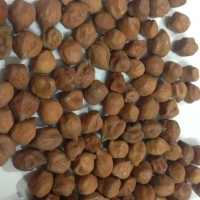 Chickpeas ( Cicer Arietinum ) Chickpeas are legumes of the family, Fabaceae, and they are one of the oldest legumes to be cultivated by, humans. 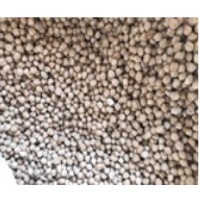 They are large roundish legumes with a bumpy surface. There are two commercial classes of, chickpea: Desi and Kabuli. The desi type has a thick, coloured seed coat and a coloure d flower. 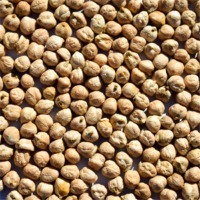 The, kabuli type (also known as garbanzo bean) has a thin, white seed coat and a white flower., The Kabuli variety has a thin, white seed coat and it is relatively bigger in size than other variet y. It is, grown in temperate and sub-tropical regions. 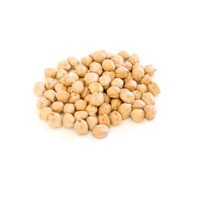 Kabuli Chickpeas are mainly used in salad bars, soups,, snack food, vegetable mixes, or ground into hummus. 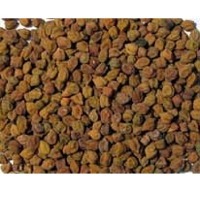 It is widely used in Middle Eastern and, Mediterranean cuisines. 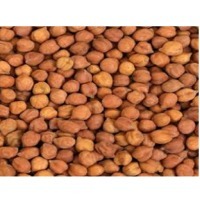 Chick Peas cultivating states in India are Madhya Pradesh, Uttar Pradesh, Rajasthan , Maharashtra and Andhra Pradesh.. Caliber Count (count per ounce ) 38/40 (14mm) 40/42 (12mm) 42/44 (11mm) 44/46 (10mm) 58/60 (8mm) 75/80 (7mm ) Moisture : 10% to 12% Look forward hearing from you soon. Chickpeas Also known as chole, Garbanzo beans & Egyptian Peas, must be soaked for several hours before cooking as they are very hard. 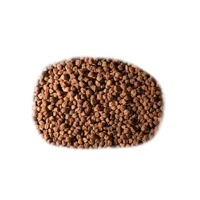 This highly nutritious pulse is ranked third in the important list of food legumes that are cultivated throughout the world. Chickpea has two major commercial class or seed type. Desi and Kabuli. 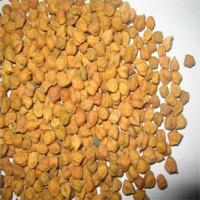 Desi type has smaller, angular seeds with thicker coloured seed coats. 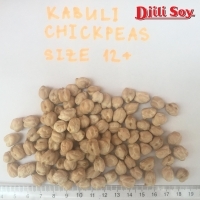 Kabuli type has larger seeds size and more rounded shape with a thinner cream colour seed coat. They are one of the most popular vegetarian food. These can be prepared in a variety of ways and dishes. Unripe chickpeas can be eaten raw, while mature chickpeas cooked and eaten in the salad. Kabuli Chana or Kabuli chickpeas are rich in fat content and are a good source of calcium, the B vitamins, protein and iron.